"Our researchers here at Texas A&M AgriLife have addressed an issue that costs producers billions of dollars," said Dr. Patrick Stover, vice chancellor of agriculture and life sciences at Texas A&M in College Station and AgriLife Research acting director. "This is an economical, envrionmentally safe and sustainable solution. "We believe the ptxD/phosphite system we have developed is one of the most promising technologies of recent times that can help solve many of the biotechnological, agricultural and environmental problems we encounter," said Dr. Keerti Rathore, an AgriLife Research plant biotechnologist in College Station. "Selective fertilization with phosphite allows unhindered growth of cotton plants expressing the ptxD gene while suppressing weeds" is the title of a Proceedings of the National Academy of Sciences of the United States of America journal article to be released the week of June 4. The article will be found at: https://tinyurl.com/ptxDcottonphosphite. The transgenic plants expressing the bacterial ptxD gene gain an ability to convert phosphite into orthophosphate, he said. Such plants allow for a selective fertilization scheme, based on phosphite as the sole source of phosphorous for the crop, while offering an effective alternative to suppress the growth of weeds that are unable to utilize this form of phosphorus." "We can and will deliver for our cotton producers in Texas and beyond, in collaboration with Cotton Inc. and partners," said Dr. Bill McCutchen, executive associate director of AgriLife Research in College Station. "Over the years, it has become abundantly clear that new strategies are needed for weed control to sustain agriculture production while reducing our dependence on herbicides," Herrera-Estrella said. "There is an urgent need for alternative weed suppression systems to sustain crop productivity, while reducing our dependence on herbicides and tillage." 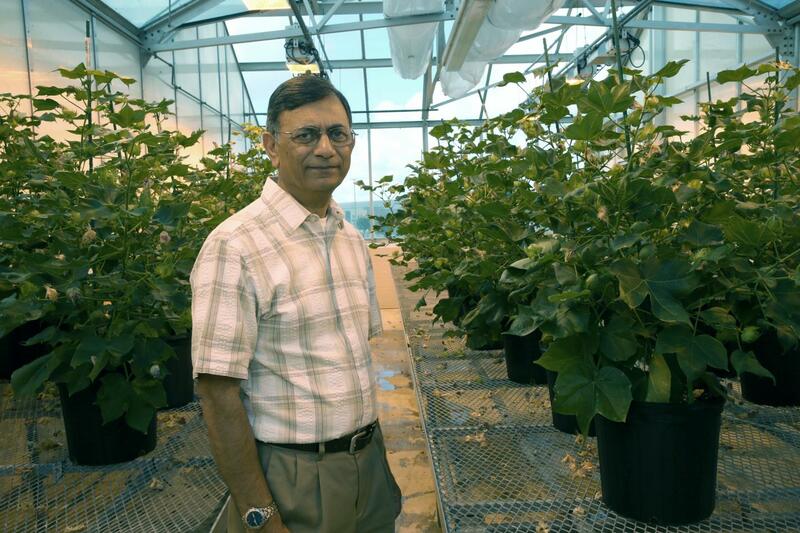 "The results presented in our paper clearly demonstrate the ptxD/phosphite system can serve as a highly effective means to suppress weeds under natural, low-phosphorus soils, including those resistant to the herbicide glyphosate, while allowing better growth of the ptxD-expressing cotton plants due to lesser competition from the debilitated weeds," Rathore said. "In order for a weed to acquire the ability to utilize phosphite, one of its dehydrogenase genes will have to undergo a complex array of multiple mutations in its DNA sequence – that's unlikely to happen by random mutations that occur in all organisms," Rathore said. "Even if some phosphite ends up in streams and rivers and eventually in lakes and the sea, the algal species will be incapable of using it as a source of phosphorus, thus preventing toxic algal blooms that kill fish and other creatures in water bodies," Herrera-Estrella said.